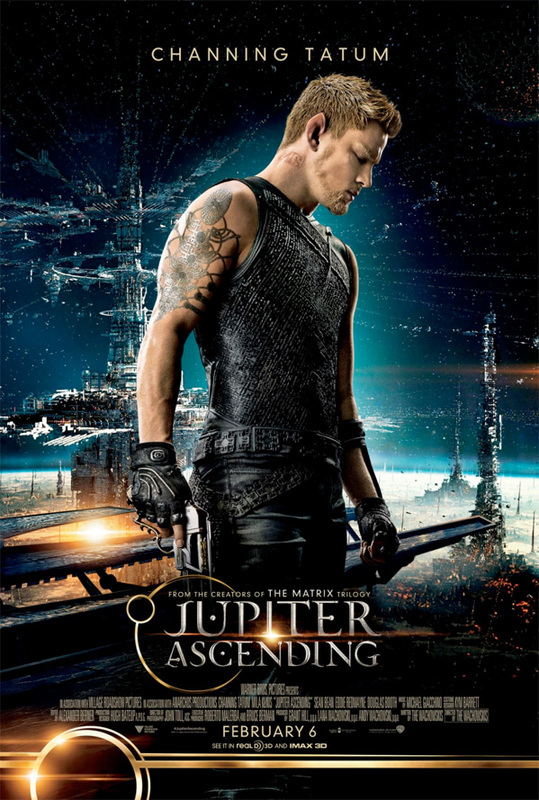 With all the love for Guardians of the Galaxy this year and the excitement for Star Wars: The Force Awakens next year, Warner Bros. Pictures is hoping that you don't forget about their space adventure Jupiter Ascending coming in February with Channing Tatum and Mila Kunis. The film hails from The Matrix masterminds Andy & Lana Wachowski, and this looks like a big helping of sci-fi fun from the new extended TV spot from the United Kingdom (there's also four character posters). It may not be quite as smart as the aforementioned, groundbreaking sci-fi flick, but maybe that's the idea. Frankly, I see this film bombing pretty hard, but I think those who do give it a chance may just enjoy themselves. Watch below! 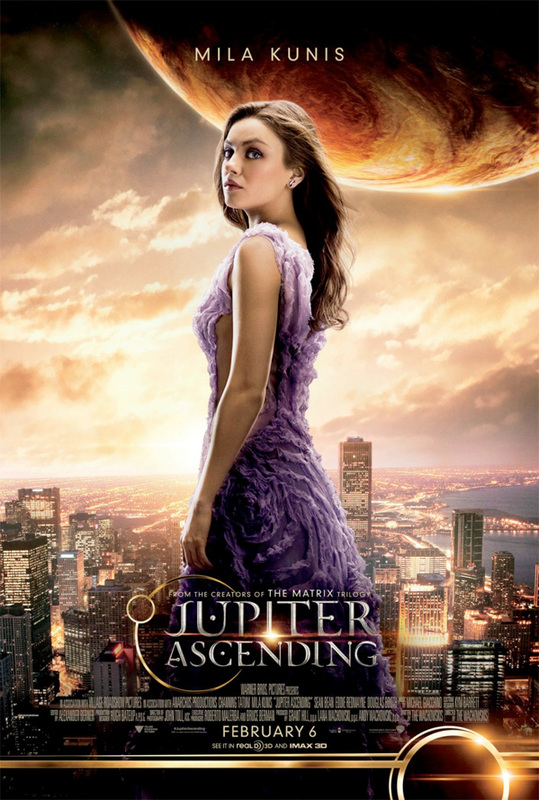 Check out the latest US trailer for the Wachowski siblings' Jupiter Ascending right here. 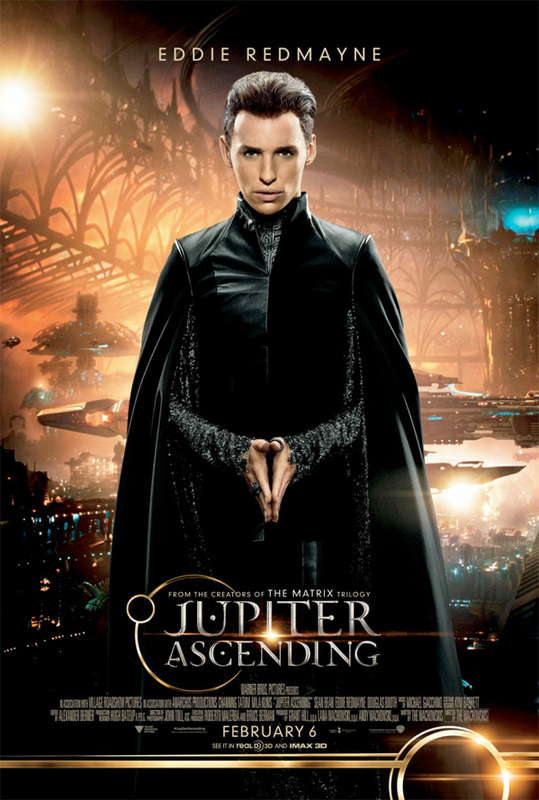 Jupiter Ascending is written and directed by filmmaker siblings Andy Wachowski & Lana Wachowski, the duo behind Bound, the Matrix trilogy, Speed Racer and Cloud Atlas just last year. Official synopsis: In a universe where humans are near the bottom of the evolutionary ladder, a young destitute human woman is targeted for assassination by the Queen of the Universe because her very existence threatens to end the Queen's reign. The cast includes Sean Bean, Eddie Redmayne, Douglas Booth, James D'Arcy and Doona Bae. 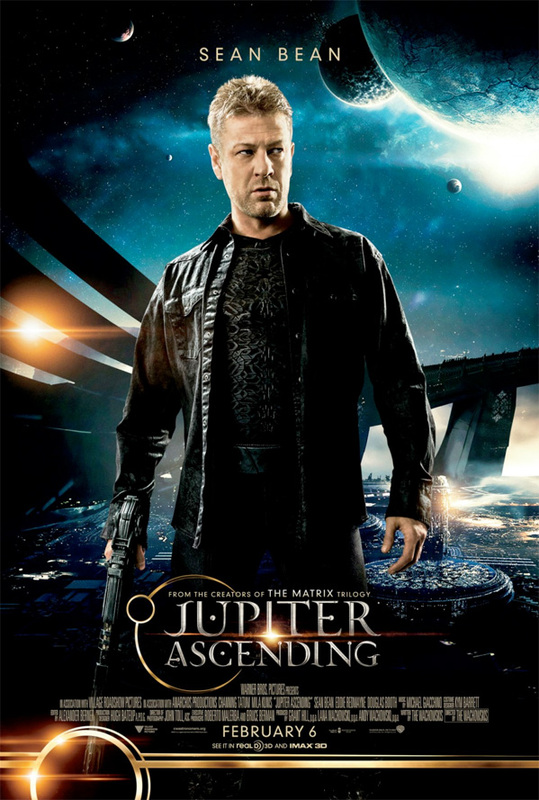 Warner Bros will open Jupiter Ascending in theaters everywhere starting February 6th, 2015. Cool? I ain't even mad that This and Kingsmen are opening febuary. they could be the surprise hits of the season. I don't want to say this, but I think we might be in for another John Carter effect. Bad publicity and nobody will go see it. All those posters are terrible, but the Sean Bean one is the worst. WTF did they do to the mans head? Terrible posters. They are the same as THE MATRIX ones, with louder backgrounds. I'm really rooting for this film to end up being good. I have little faith in it being properly promoted to become a hit, but as long as it is good...then even if it bombs like Cloud Atlas, I'll be satisfied knowing it is a good movie. Channing Tatum... no matter how you dress him, he always plays the same freakin character. Seriously, the only time his character was different was when he played the main characters betch in the movie "This is the End"